This is a rectangular Zeno’s Ice Cream porcelain sign. This particular Zeno’s Ice Cream sign is white with red and green print. 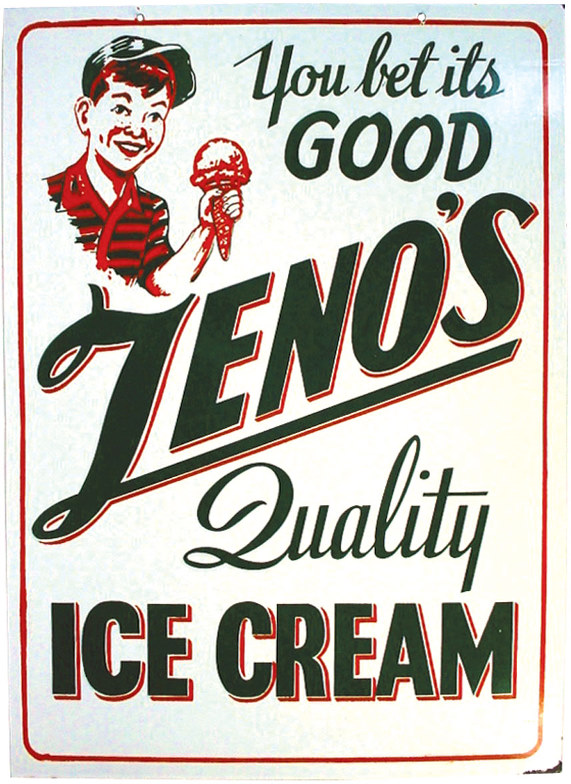 It reads, “You Bet Its Good, Zeno’s Quality Ice Cream” and features a small boy wearing a red and green shirt holding an Zeno’s Ice Cream cone in the upper left corner of the sign.